he Laser Spine Institute finds a new way to explain medical issues and reach out to new potential patients with live and archived webcasting services provided by DDA. Like many medical organizations, the Laser Spine wanted to find a new and effective way to reach patients with spine problems throughout the country. 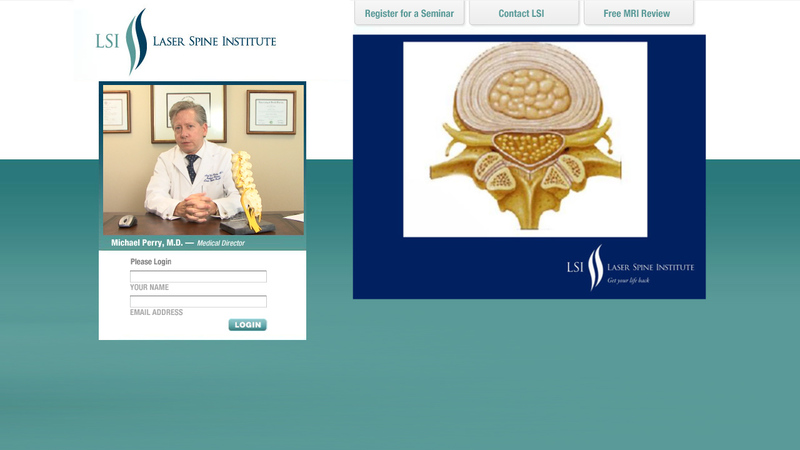 By utilizing a live streaming webcast, the Laser Spine Institute found a way to bring their audience to themselves, saving them time and money in the process. Additionally, such a presentation would be even more accessible than a more traditional tour, as anyone with an internet browser could easily view the presentation and learn from it. DDA developed a custom-designed platform to deliver the webcast and traveled to Tampa, Florida to shoot it on-location and stream it throughout the country. The presentation even included a chance for Laser Spine Institute to receive live feedback to the presentation, featuring a question-and-answer segment facilitated through the webcast. The webcast was also recorded and archived on the platform so that anyone who couldn't view it live would be able to see it at a later date, and those who wished to review it could do so as well. The response from viewers was quite positive, and Laser Spine Institute received a lot of thanks for presenting a wealth of helpful information and answering viewers' questions during the webcast. By providing comprehensive information in such an open and accessible manner, Laser Spine Institute helped to bolster the credibility of its healthcare providers and facilities and thereby set the precedent for greater patient acquisition going forward.